A bureaucracy is an organization of non-elected officials who implements the rules, laws, and functions of their institution. A bureaucrat is a member of a bureaucracy and can comprise the administration of any organization of any size, though the term usually connotes someone within an institution of government. Public administration houses the implementation of government policy and an academic discipline that studies this implementation and that prepares civil servants for this work. Red tape is excessive regulation or rigid conformity to formal rules that is considered redundant and hinders or prevents action or decision-making. Examples include filling out paperwork, obtaining licenses, having multiple people or committees approve a decision and various low-level rules. Street-level bureaucracy is the subset of a public agency or government institution containing the individuals who carry out and enforce the actions required by laws and public policies. Street-level bureaucrats include police officers, firefighters, and other individuals, who on a daily basis interact with regular citizens and provide the force behind the given rules and laws in their areas of expertise. red tape: A derisive term for regulations or bureaucratic procedures that are considered excessive or excessively time- and effort-consuming. Public administration: It houses the implementation of government policy and an academic discipline that studies this implementation and that prepares civil servants for this work. A bureaucracy is an organization of non-elected officials of a government or organization who implements the rules, laws, and functions of their institution. A bureaucrat is a member of a bureaucracy and can comprise the administration of any organization of any size, though the term usually connotes someone within an institution of government. Bureaucrat jobs were historically often “desk jobs,” though the modern bureaucrat may be found “in the field” as well as in an office. Public administration houses the implementation of government policy and an academic discipline that studies this implementation and that prepares civil servants for this work. In the US, civil servants and academics such as Woodrow Wilson promoted American civil service reform in the 1880s, moving public administration into academia. Red tape is excessive regulation or rigid conformity to formal rules that is considered redundant or bureaucratic and hinders or prevents action or decision-making. It is usually applied to governments, corporations and other large organizations. Red tape generally includes filling out paperwork, obtaining licenses, having multiple people or committees approve a decision and various low-level rules that make conducting one’s affairs slower, more difficult, or both. Red tape can also include “filing and certification requirements, reporting, investigation, inspection and enforcement practices, and procedures”. The “cutting of red tape” is a popular electoral and policy promise. In the United States, a number of committees have discussed and debated Red Tape Reduction Acts. Across the Atlantic, the European Commission has a competition that offers an award for the “Best Idea for Red Tape Reduction”. The competition is “aimed at identifying innovative suggestions for reducing unnecessary bureaucracy stemming from European law”. In 2008, the European Commission held a conference entitled ‘Cutting Red Tape for Europe’. The goal of the conference was “reducing red tape and overbearing bureaucracy” to help “business people and entrepreneurs improve competitiveness”. 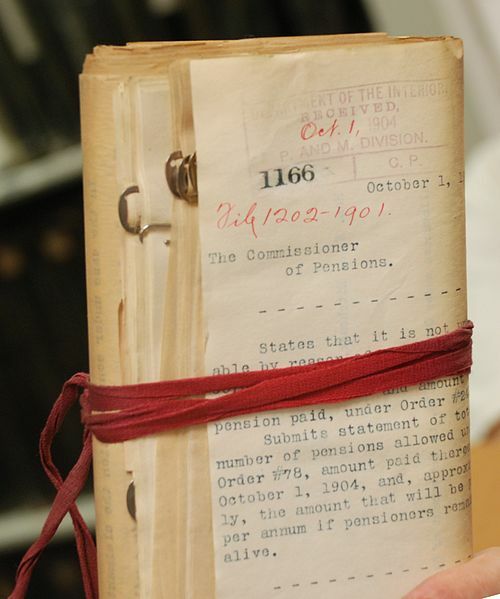 Bureaucratic Red Tape: Bundle of U.S. pension documents from 1906 bound in red tape. As opposed to bureaucrats carrying out “desk jobs,” street-level bureaucracy is the subset of a public agency or government institution containing the individuals who carry out and enforce the actions required by laws and public policies. Street-level bureaucracy is accompanied by the idea that these individuals vary the extents to which they enforce the rules and laws assigned to them. The concept of street-level bureaucracy was first coined by Michael Lipsky in 1980, who argued that “policy implementation in the end comes down to the people who actually implement it”. He argued that state employees such as police and social workers should be seen as part of the “policy-making community” and as exercisers of political power. Street-level bureaucrats include police officers, firefighters, and other individuals, who on a daily basis interact with regular citizens and provide the force behind the given rules and laws in their areas of expertise. 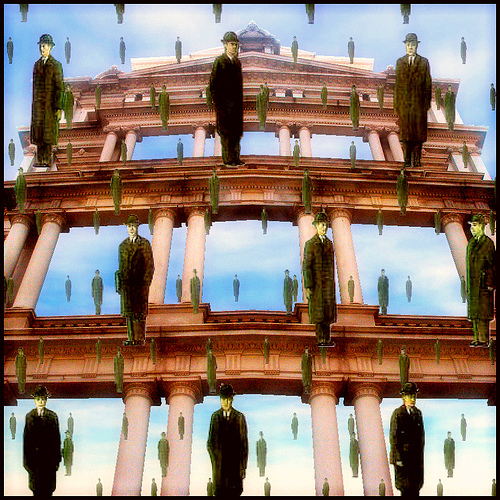 Bureaucracy – Magritte: An illustration made in homage of the original painting by René Magritte depicting the faceless men that comprise bureaucracies. Weber identified in bureaucracies a rational-legal authority in which legitimacy is seen as coming from a legal order. Weber listed several preconditions for the emergence of bureaucracy: the growth in size of the population being administered, the growth in complexity of the administrative tasks being carried out, and the existence of a monetary economy requiring a more efficient administrative system. Weber identified in bureaucracies a rational-legal authority in which legitimacy is seen as coming from a legal order and the laws enacted within it. This is contrasted with traditional forms of authority, which arose from phenomena like kinship. Rationalization describes a transition in society, wherein traditional motivators of behavior, like values, beliefs, and emotions, are replaced with rational calculations. Weber termed the increasing rationalization in Western societies an “iron cage” that traps individuals in systems based solely on efficiency, rational calculation and control. Rational-legal authority: A form of leadership in which the authority of an organization or a ruling regime is largely tied to legal rationality, legal legitimacy and bureaucracy. Weber identified in bureaucracies a rational-legal authority in which legitimacy is seen as coming from a legal order. The majority of modern bureaucratic officials and political leaders represent this type of authority. However, while recognizing bureaucracy as the most efficient form of organization, and perhaps indispensable for the modern state, Weber also saw it as a threat to individual freedoms. For Weber, the implementation of bureaucracies in government was a kind of rationalization, in which traditional motivators for behavior were cast aside. Instead of utilizing traditions, emotions, or values to motivate behavior, in a bureaucracy, people used rational calculation. Regarding Western societies, Weber called this increasing rationalization an “iron cage” that trapped individuals in systems based solely on efficiency, rational calculation, and control. In his theory, the “iron cage” is the one set of rules and laws that we are all subjected to. According to Weber, the shift from old forms of mobility, like kinship, to new forms, like strict, legal rules, was a direct result of the growth of bureaucracy and capitalism. 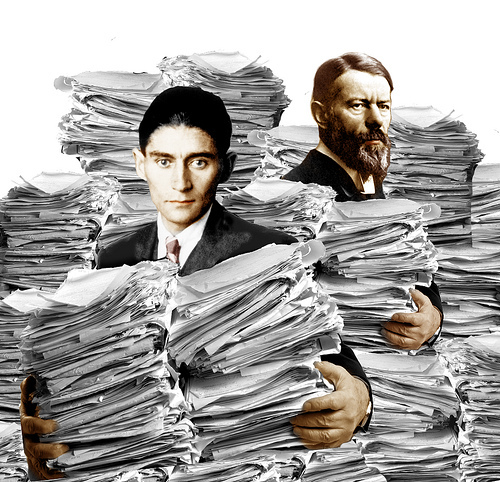 Kafka and Weber: This is an illustration of the fiction writer, Franz Kafka, who wrote about bureaucratic nightmares, and the sociologist, Max Weber, who studied bureaucracies. Sociologist George Ritzer theorizes “McDonaldization” as a contemporary form of rationalization. In Ritzer’s reconceptualization, McDonaldization is the process of rationalization that Weber found inherent in bureaucracies extended to fast-food chains such as McDonalds under globalization. According to Ritzer, McDonaldization is comprised of four main components: efficiency, calculability, predictability, and control. The first one, efficiency, is geared toward the minimization of time as the optimal method for accomplishing a task. The second, calculability, refers to the quantifiable objectives of fast-food chains, seeing quantity as quality. With the rise of predictability, the third component, all consumers can predict receiving the same service and the same product every time they interact with the McDonaldized organization. Under control, the fourth component, employees become standardized and replaced by non-human technologies. Under cultural hybridization, as McDonald’s enters a country, consumer patterns are unified and local cultures are westernized. As a response, the process of de-Mcdonaldization offers alternatives to this model of production and organization. “McDonaldization” is a term used by sociologist George Ritzer in his book The McDonaldization of Society (1993). McDonaldization as described by Ritzer is a reconceptualization of rationalization, or moving from traditional to rational modes of thought, and scientific management. In sociology, rationalization refers to the replacement of traditions, values, and emotions as motivators for behavior in society with rational, calculated ones. Where Max Weber used the model of the bureaucracy to represent the direction of this changing society, Ritzer sees the fast-food restaurant as having become a more representative contemporary paradigm in contemporary societies. In Ritzer’s book, McDonald’s serves as the case model of this process in the 1990s. The McDonaldization Theory of George Ritzer: “McDonaldization” is a term used by sociologist George Ritzer in his book The McDonaldization of Society (1993). He explains it occurs when a culture possesses the characteristics of a fast-food restaurant. McDonaldization is a reconceptualization of rationalization, or moving from traditional to rational modes of thought, and scientific management. Where Max Weber used the model of the bureaucracy to represent the direction of this changing society, Ritzer sees the fast-food restaurant as having become a more representative contemporary paradigm. 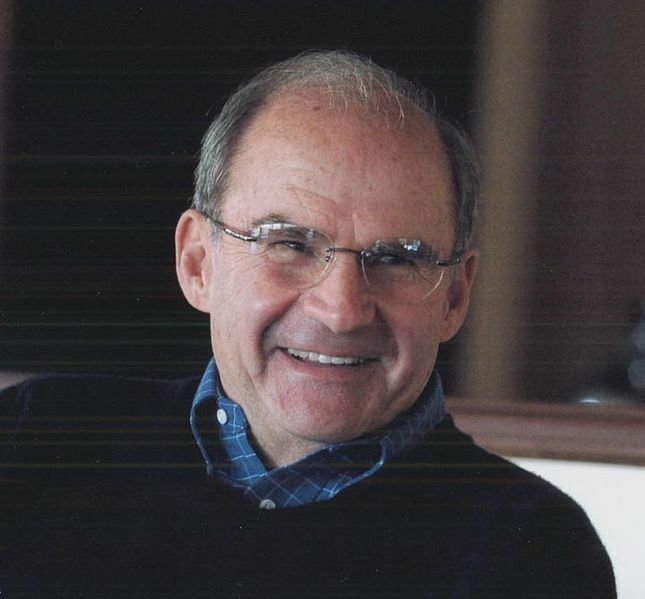 George Ritzer: George Ritzer is a sociologist who studies American patterns of consumption, globalization, metatheory, and modern and postmodern social theory. According to Ritzer, McDonaldization is comprised of four main components: efficiency, calculability, predictability, and control. The first one, efficiency, is the optimal method for accomplishing a task. 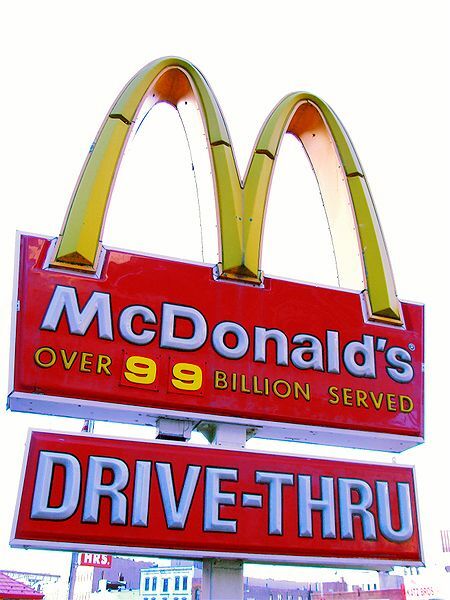 Efficiency in McDonaldization means that every aspect of the organization is geared toward the minimization of time. From a customer perspective, efficiency is achieving the fastest way to get from being hungry to being full. The second component, calculability, refers to the quantifiable objectives of fast-food chains. McDonaldization developed the notion that quantity equals quality, and that a large amount of product delivered to the customer in a short amount of time is the same as a high quality product. This allows people to quantify how much they’re getting versus how much they’re paying. Workers in these organizations are judged by how fast they accomplish tasks instead of the quality of work they do. This relates to the idea of availability versus variety – you can get a lot of one thing, but not necessarily the thing you want. Increase in volume does not equate to increase in choice. McDonald’s: The sign at a McDonald’s “drive-thru. ” The “over 99 billion served” statement illustrates Ritzer’s idea of calculability. Third, predictability is the idea that no matter where a person goes, they will receive the same service and receive the same product every time they interact with the McDonaldized organization. This also applies to the workers in those organizations. Their tasks are highly repetitive, highly routine, and predictable. Fourth, under control, employees become standardized and replaced by non-human technologies. Lastly, as part of standardization, cultural hybridization occurs. Ritzer argues that as McDonald’s enters a country, consumer patterns are unified, and starting with the food chains, local cultures are westernized. Ritzer also outlines irrationality of rationality as a fifth aspect of McDonaldization. As Ritzer said, “Irrationality means that rational systems are unreasonable systems. By that I mean that they deny the basic humanity, the human reason, of the people who work within or are served by them. ” He further states that beyond dehumanization further irrationalities emerge; including the inefficient masses of red tape, over quantification leading to low quality work, unpredictability as employees grow unclear about what they are supposed to do, and the loss of control due to other inadequacies. Junk-journalism, defined here as inoffensive and trivial news served up in palatable portions, is an example of Mcdonaldization. Another example could be McUniversities, which features modularized curricula, delivering degrees in a fast-track pick-and-mix fashion to satisfy all tastes. The diminished quality of these products can only be disguised by extensive advertising which constantly repackages them to look new. When we look at schools and classrooms across the world, there is an ever increasing similarity between that of Western classrooms and the rest of the world. This can be considered an example of how Western culture, focused on efficiency of transfer of knowledge, has spread around the rest of the world. As a response, the process of de-Mcdonaldization offers alternatives to this model of production and organization. Many corporations have been making an effort to deny the kind of rationalization similar to what Ritzer calls McDonaldization. Protests have also been arising in nation-states to protect localized economies and traditional values.